Centiment.io, based in New York City, is revolutionizing the business of marketing and advertising through what they call “Brain-Powered Advertising”. Founded by Micah Brown and Tim Wilson, the company is creating bold moves in the world of marketing by understanding human thought and emotion through sentiment analysis and artificial intelligence (AI). Effective and unbiased marketing is part of the key results expected from this innovative tool. Centiment’s company name is a play on the word “sentiment,” which means a feeling, emotion, or opinion; as such, they aim to create a strategy that helps brands create ethical but effective ideas to reach their ideal customers. Incubated by IBM Watson, IBM’s AI platform for business, Centiment has created a patent pending tool that helps create brand experiences that drive emotional engagement. 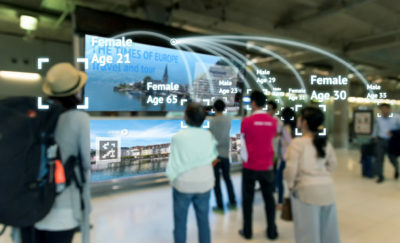 Their set of social tools, which can be used for content prediction, uses the concept of emotional branding. While not necessarily a new thing, emotional branding appeals directly to a consumer’s needs through their emotional state, and has been present in advertising and marketing for years. 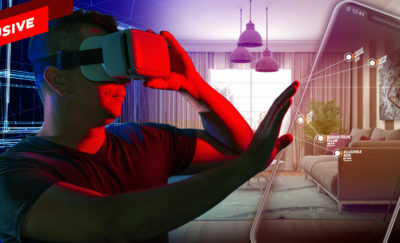 Centiment’s bold idea of collecting neurodata helps understand the human brain’s complex functions, as well as analyzing the emotions which drive a consumer in making decisions, including how they feel about a brand and their competitors, especially through their advertising efforts. “The bold idea is to combine neurodata and artificial intelligence to usher in the next wave of learning and corporate responsibility,” Brown exclusively explained to Bold Business. “What we aim to do, and the impact on the world generally, is that media strategy will become more diverse and more accurate. It’ll be driven by data, not just gut.” Brown is also the company’s Chief Executive Officer (CEO). He told Bold Business that the process they have created, albeit patent pending, has an ability of combining neuroscans of humans along with sentiment analysis. “We use that and we replicate it in the AI and we cross that over to what people mean when they say something online,” he explained. 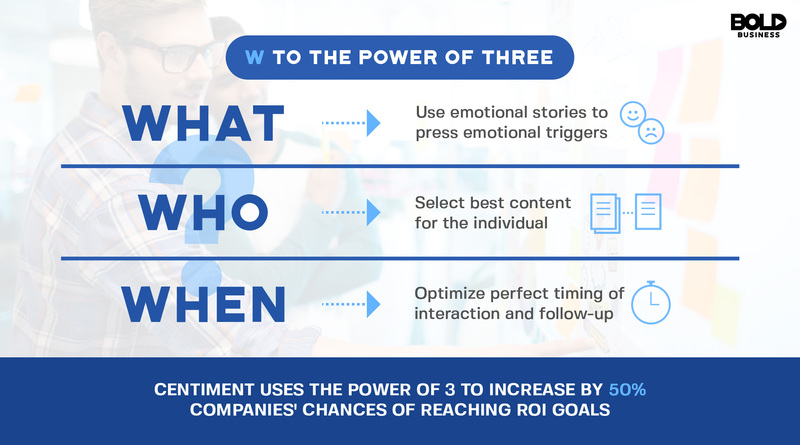 According to Centiment, their “W to the Power of 3” method allows a 50% increase in likelihood that they will reach their return on investment (ROI) goals. The three Ws – referring to the What, Who, and When – help a company or brand identify their market relevance, analyze neurodata regarding them, and then combining these insights so the company reaches their goals and experiences growth through effective customer acquisition. Billee Howard, Chief Strategy Officer (CSO), exclusively explained to Bold Business how this move allows Centiment’s tool to connect thought and product so advertisers reach consumers at the most ideal level. “The combination again of taking the best of Watson and marrying it with neurodata together will enable advertisers to get their message to the right people at the right time,” she said. Among Centiment’s neurodata gathering that contribute to effective marketing analysis, the personality archetype is the most groundbreaking. Combining these emotional insights with geo-location creates analyses for various personality archetypes. A company with this data, using such archetypes, helps identify an optimal client base. For example, from sample data from a financial planning company, the company can target specific groups of people. 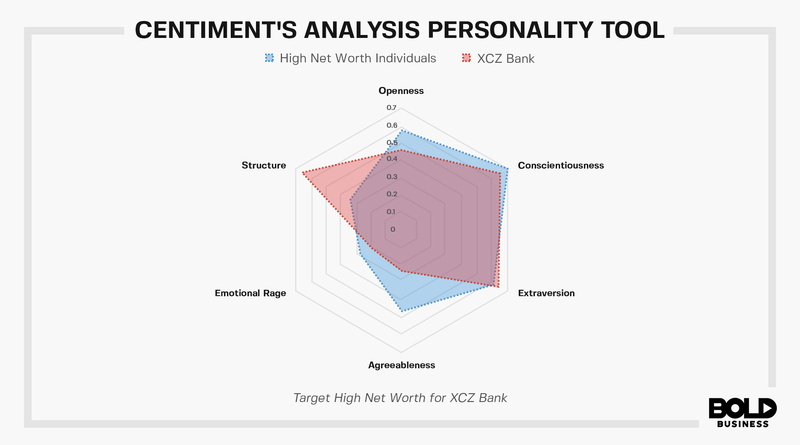 Similar to how a Venn diagram works, gathering neurodata allows a company to see the overlap between personalities of certain high net worth individuals and the personalities of ideal clients. The overlap pertains to people who have both the company’s desired net worth in a potential client, and also particular types of personalities that make it easy for them to pursue and eventually convert them into the company’s client base. In addition, these useful neurodata helps empower sales representatives in emotionally engaging their potential clients, allowing the company to maximize potential revenue. Centiment is currently working with a number of corporate and research partners, including Sprint, Fielding University, and the University of Kansas Medical Center. 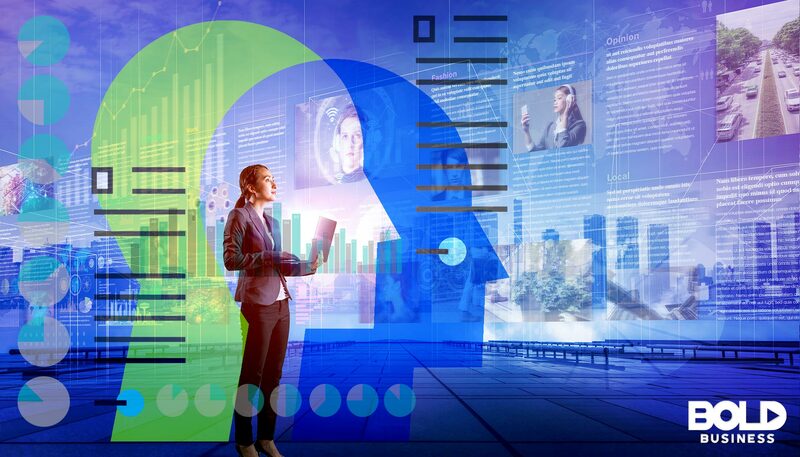 Together with IBM Watson, the company is continuously developing groundbreaking technology that is both effective yet neutral, helping properly measure human emotion in real time so that advertisers may improve their marketing strategy and outcomes. “Once you can achieve that, you can achieve a critical mass if you will,” Brown said, “kind of a bold ambition of changing the media strategy landscape, so that is truly driven by data, and you get better marketing and advertising, lots of different formats.” This way, Centiment helps eradicate irrelevant ads that reach the wrong audiences, while altogether improving the landscape of marketing and advertising moving forward.